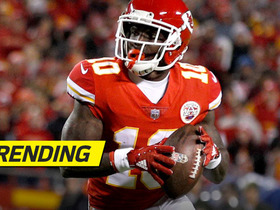 Analysis: With 21 NFL appearances and 10 career receptions to his name, Travis was on the roster bubble for Indianapolis before he suffered a torn ACL in the final week of the 2018 preseason. 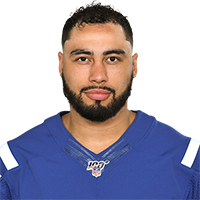 He should have enough time to get healthy for the start of training camp, at which point he'll compete for a spot behind Eric Ebron and Jack Doyle (hip/kidney) at tight end. Travis will duke it out with Mo Alie-Cox and Billy Brown, among others. Kansas City Chiefs wide receiver Tyreek Hill throws interception into end zone after Chiefs' trick play goes wrong.